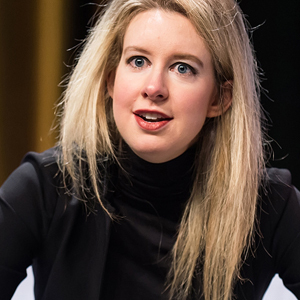 I just listened to a couple of videos in which Elizabeth Holmes is speaking. People are referring to her fake voice. Actually, it isn’t fake – it is her voice, however, it is at the very bottom of her register and it lacks color, vitality, inflection, and good intonation. When I show my clients how to find the optimum range of their speaking voice, I make sure they are not too deep in pitch. 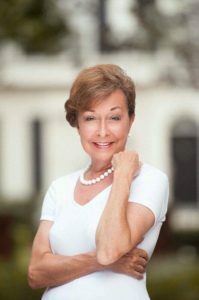 Whether they are working with me by means of Skype, workshops, or my video training, I ensure they are not at the bottom of their register because I know the problems they will encounter. They will not be able to increase their volume so their voice will likely be softer than normal. They will not be able to speak with color because they are trying to hold their pitch down which does not allow for the natural highs and lows in the voice. Their throat and vocal cords will suffer because it is stressful on those areas. How do you know if your ‘real’ voice is too deep? 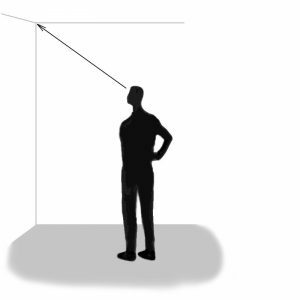 If you are unable to hold your pitch while looking at where the ceiling and walls meet in an average-sized room, then you are too deep. Look at the picture below. In truth, I like Holmes real voice but I gather it wasn’t the image she wanted to portray. If you look at different photos of her, she is dressed all in black which some assume is because she wants to be like the late Steve Jobs. Watch this brief clip of Holmes natural voice versus her ‘fake’ voice.